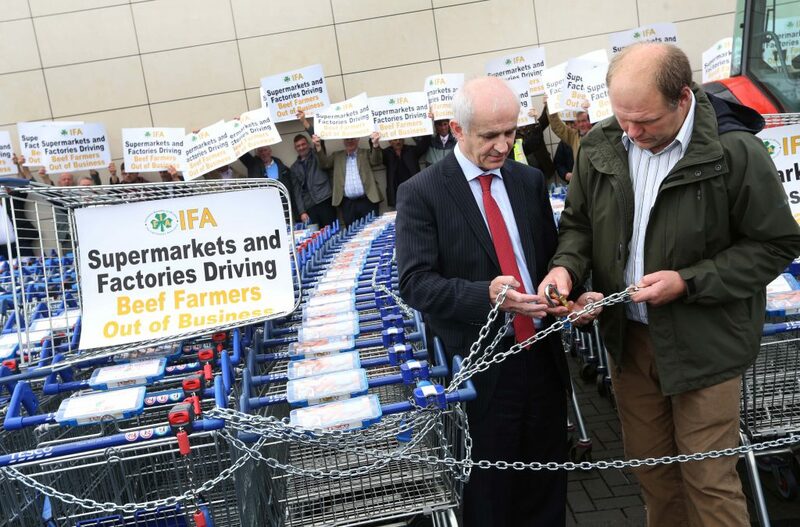 There was no processor representation, once again last night’s IFA meeting beef crisis in Tullamore. It was expected that a representative of the Kepak Group would be in attendance on the night. When the IFA leadership got word that no representative would be present, it elected to stage a protest outside Burger King a major Kepak customer. 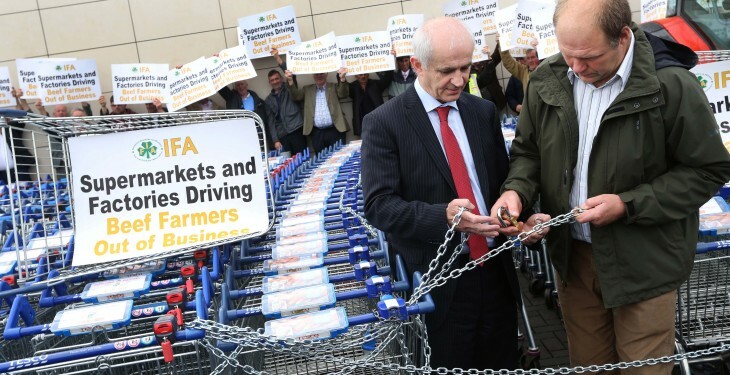 Speaking at the meeting IFA President Eddie Downey said that it was only two weeks ago that farmers had been led to believe the factories were willing to talk. “Yet there is an empty chair here tonight,” added. “Only one processor has turned up to our meetings so far. No one else was brave enough to tell farmers where their money has gone. Downey noted that the processing industry has said it is keen to hold talks in private. But he stated clearly that the Minister for Agriculture must be present also. At last night’s meeting Downey also outlined that its new labelling proposals, attempting to rectify the nomad cattle issue, are now in their final stages. Downey outlined that the proposal is now with Tesco UK officials and a decision is expected in the coming days. IFA Livestock Chairman Henry Burns, who also spoke at the meeting confirmed that the new labelling arrangements are crucial. He noted that more Northern Ireland buyers are increasingly evident at marts around the country.